The Cast of SIX share their powerful thoughts on why they are proud to represent SEAL Team Six. Watch the interview, brought to you by our partner Wounded Warrior Project. The following content is brought to you by our partner, the Wounded Warrior Project. For Brett Miller, cycling had not only been a form of fitness, but his escape. A firefighter for 17 years before joining the National Guard in 1988 to help pay for college, he was conducting security operations in Iraq when a roadside bomb detonated 6 feet from his Humvee, causing traumatic brain injury, brain bleed and other injuries that left him partially paralyzed. While in recovery, Miller was approached by the Wounded Warrior Project and asked to take part in a Soldier Ride, a four-day cycling experience offered by the organization that connects warriors and positively pushes their physical and mental limits. Soon, Miller, 43, who lives in Camp Sherman, Ore., was going on the rides once a month, which he would continue for two years. Now, not only has he been a member of a race-winning cycling team, he’s taken what he has learned about making a comeback and created Warfighter Outfitters in 2013, an organization that provides hunting, fishing and other opportunities to disabled vets, free of charge. And that’s exactly the kind of result Wounded Warrior Project aims for, helping vets to help themselves, even after deeply difficult experiences, and ultimately, transitioning into their communities. 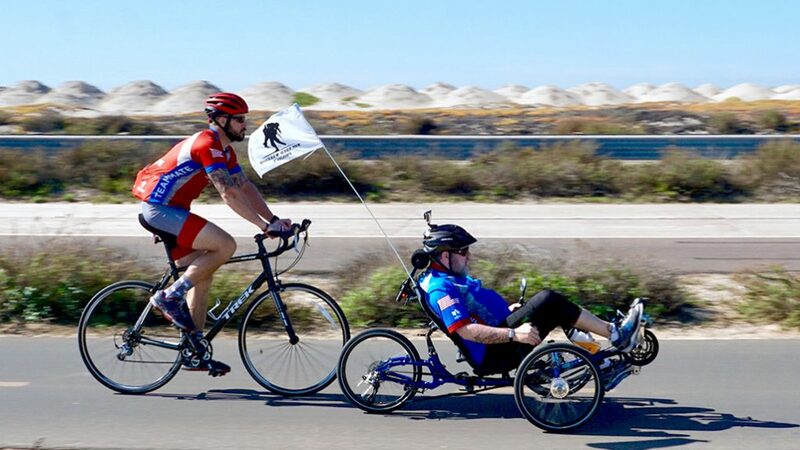 “Involvement in community events such as Soldier Ride is vital to many wounded veterans as they adjust back to civilian life,” says Mike Linnington, CEO of the Wounded Warrior Project, a group that connects, serves and empowers wounded warriors. For Miller, that began with getting back into biking. “I was going to different states across the nation riding a bike with other guys who were in the hospital, same as me,” he says. “It takes you back to that squad mentality and no matter how tough it was, we would always manage to get it done and finish what we were trying to accomplish.” Those rides led the Wounded Warrior Project to ask Miller to become a member of its 2012 Race Across America team, in which he joined eight other disabled vets in a seven-day coast-to-coast ride. They ended up beating six non-disabled cycling teams. Since 2003, Wounded Warrior Project’s mission has been to honor and empower America’s wounded service members who served on or after Sept. 11, 2001, including 480,000 servicemen and women physically injured in military conflicts, 400,000 living with invisible wounds such as PTSD and depression and 320,000 dealing with debilitating brain trauma. 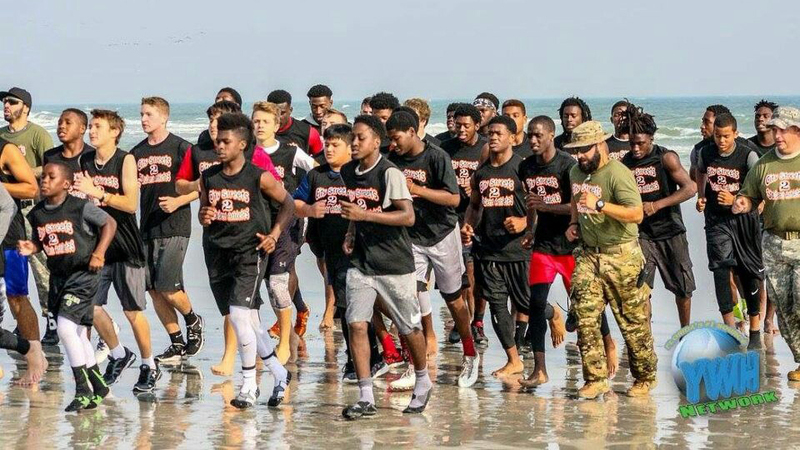 The national nonprofit works to meet the needs of warriors, as well as their families and caregivers, and a big part of that is concentrated toward social engagement. Linnington points to more than 40 Wounded Warrior Project peer support groups across the country; work with other partners, nonprofits, vet groups and community projects; events such as Soldier Ride; health and wellness programs; and fun family outings as efforts to help get warriors back into social situations. “Just being out there and having a new sense of purpose really starts the path to recovery for many of our wounded warriors,” he says. The Wounded Warrior Project’s 2017 annual survey of more than 34,000 men and women served by the organization found the unemployment rate of non-active duty warriors improved to 13 percent and one in three warriors have earned a bachelor’s degree or better. But 77 percent reported PTSD as their main health challenge, and almost half indicated physical or emotional problems interfered with their lives all or most of the time. Linnington says 80 percent of those surveyed responded that social engagement and social support was most important in their recovery. 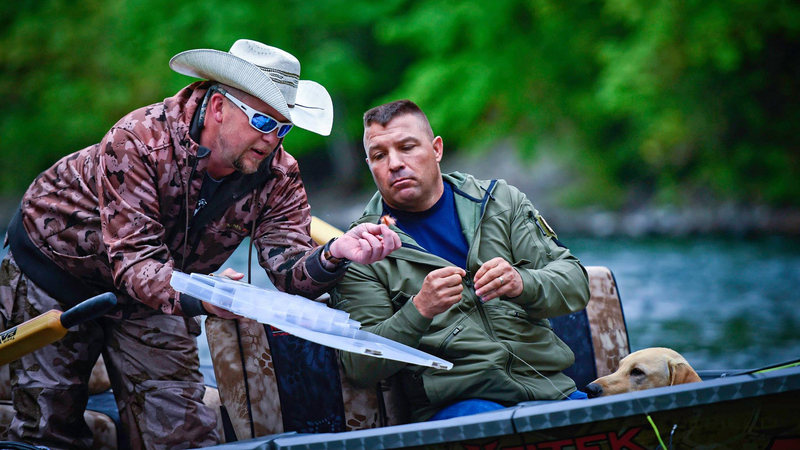 Miller says community programs such as Soldier Ride taught him that life wasn’t over—and led him to found the nonprofit Warfighter Outfitters in 2013, an organization that provides hunting, fishing and other opportunities to disabled vets, free of charge. Miller says the group served more than 2,000 veterans last year, using grant money to pay for the boats, equipment and trips, which have taken place in 14 states and more than 28 different bodies of water and would cost anywhere from $600 to $1,200 a person a day. Carlos De Leon was at a turning point. As a teen growing up in the notoriously high-crime city of Lawrence, Mass., he’d been kicked out of school and had tried living with his father in Puerto Rico, but was forced to return stateside after Hurricane George destroyed their house in 1998. Back in Lawrence, he found himself in and out of trouble again. And then his cousin—his constant companion—was shot in the head. 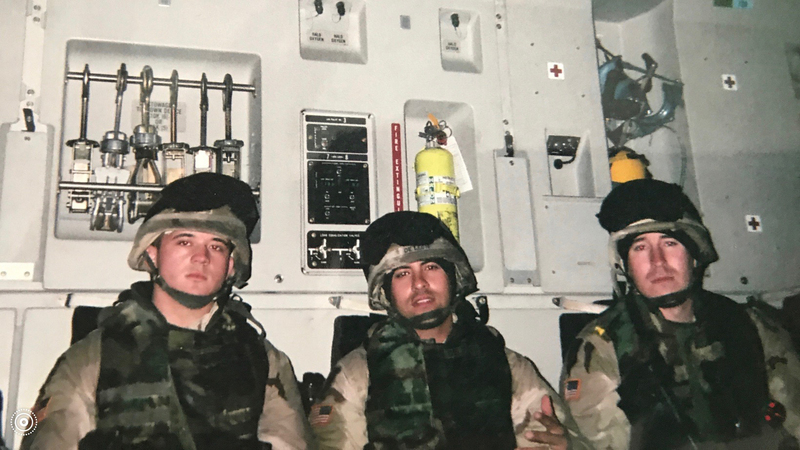 De Leon enrolled in a job corps program, and it quickly became clear that his mission was to join the military. He enlisted in the U.S. Army at the end of 1999, and had planned for a life-long career. But in 2007, while serving on his second deployment in Iraq, he suffered injuries from a mortar attack, was aero-medevac’d out of the country and eventually woke up in Landstuhl, Germany. The Purple Heart recipient credits accepting an invitation from the Wounded Warrior Project to take part in the now-defunct one-year TRACK program, an education center designed for veterans wounded in combat, as one of the best decisions he has ever made. “Coming out of the military, I didn’t have a plan,” he says. “I didn’t have an education. I went from thinking one second that I was going to make a career out of the military to now having to figure out what to do next. And my son, daughter and wife were all depending on me. His goal? To host a similar camp back in his Massachusetts hometown where he can deliver the message he spreads during speaking engagements: Do the right thing and you’ll never be afraid. It all comes back to helping not only fellow warriors but others, as well, according to Linnington.